Schaeffer Precision Alignment is proud to have its headquarters in Texas since 1989. 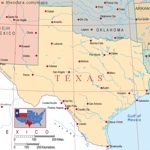 While we offer laser tracker service throughout the nation, we have many clients in the great state of Texas. In today’s blog we will discuss the types of laser tracker services we offer directly from our headquarters in Texas. We are located east of Dallas in the far northeast corner of Texas. From our centralized location we can fly directly from DFW International Airport with our equipment and provide precision metrology services anywhere in the nation. Our headquarters in northeast Texas houses our team of metrology technicians, all of our precision alignment equipment as well as all of our laser trackers. We are also launching our new in-house manual machine shop where we offer custom machining services. Our headquarters in Texas houses all of our optical and laser tracker crews. Let’s review the difference between these two core precision alignment methodologies. Optical Alignment – This branch of precision alignment has the ability to provide highly precise measurements without restrictions to environment. Optical alignment tools are highly mobile and flexible giving them the ability to provide the needed accuracy even when the job site does not offer optimum conditions for measurement. Optical Alignment is a more traditional method of measuring. Laser Tracker Services – The laser tracker is a product of laser technology industry met with 3D measurement systems. Using a highly precise laser tracker Schaeffer Precision Alignment can provide unequaled measurements in both precision and accuracy. There are many different types of laser trackers that can be utilized to provide the needed methods for each job. Schaeffer Precision Alignment is a professional alignment company based in northeast Texas. We have the tooled needed to provide precision measurement of any kind of equipment, tool, machine, or component. We are a specialized metrology company that is licensed and insured for contractor work throughout the United States. Whether you need dimensional metrology measurements or a more simple machinery inspection, we have the tools needed to insure the job is done right the first time, every time.